October is National Bullying Prevention month, and as part of their seventh annual initiative to promote awareness, Cartoon Network has announced that it’s recruiting some of its most beloved shows for a month-long block of special episodes to encourage kids to stand up to bullying. 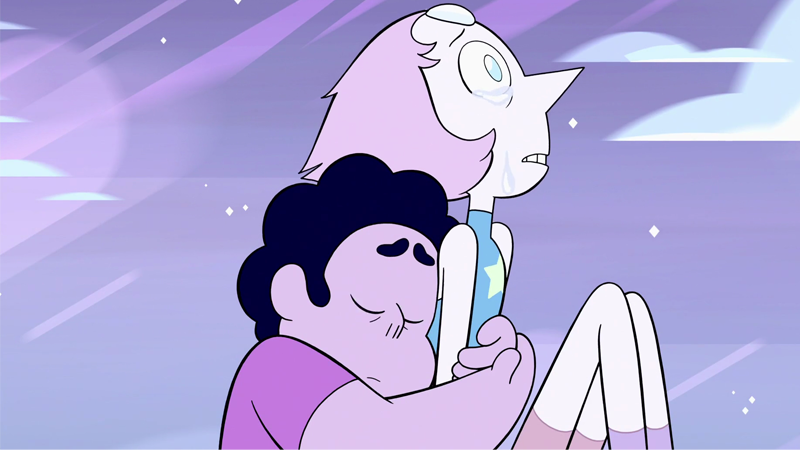 Spearheaded by Steven Universe creator Rebecca Sugar—who will take part in a series of videos for Cartoon Network’s social channels promoting expressing yourself through art and creativity—the initiative will see a new hour-long programming slot air every Saturday in October featuring new stories from Steven Universe, Teen Titans Go!, The Amazing World of Gumball, Clarence, and We Bare Bears that focus on championing positive relationships and teamwork. In between, Cartoon Network will run small spots featuring audience contributions highlighting actions viewers can take to prevent bullying. It’s not clear yet whether that means multiple new episodes from each show or one new batch repeated every Saturday, but hey—getting some new material from these great shows and promoting a healthy social message is pretty great either way.